There are so many amazing holiday events in Vancouver & the Lower Mainland for families this time of year! 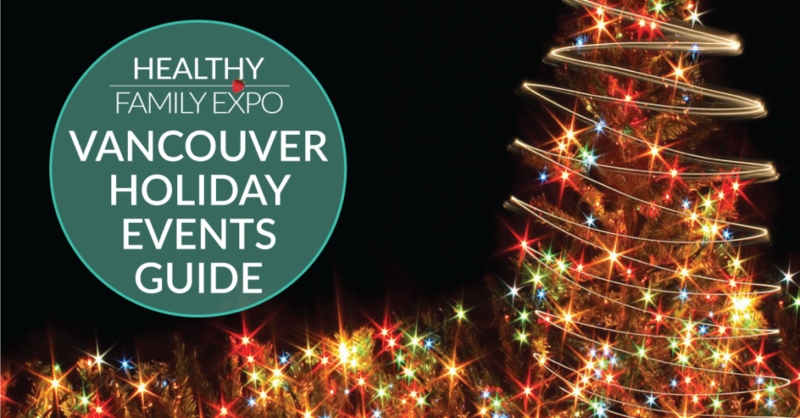 We have rounded up some of our favourites for 2017 in our annual Vancouver Holiday Events Guide below, and we’re also giving away family passes to select events at our 2017 Holiday Facebook Party on November 16th at 8 pm PST. To ENTER to win, go to our Healthy Family Expo 2018 Facebook Event and click “GOING”. Then join in the party on November 16th from the comfort of your home when we’ll be giving away family admission passes to great holiday events, and over $5,000 in gifts from our 2017 Holiday Gift Guide (including a Springfree Trampoline & Samsung smart TV). We are all about taking the stress off during the holidays so that you can focus on making magical memories with friends & family. 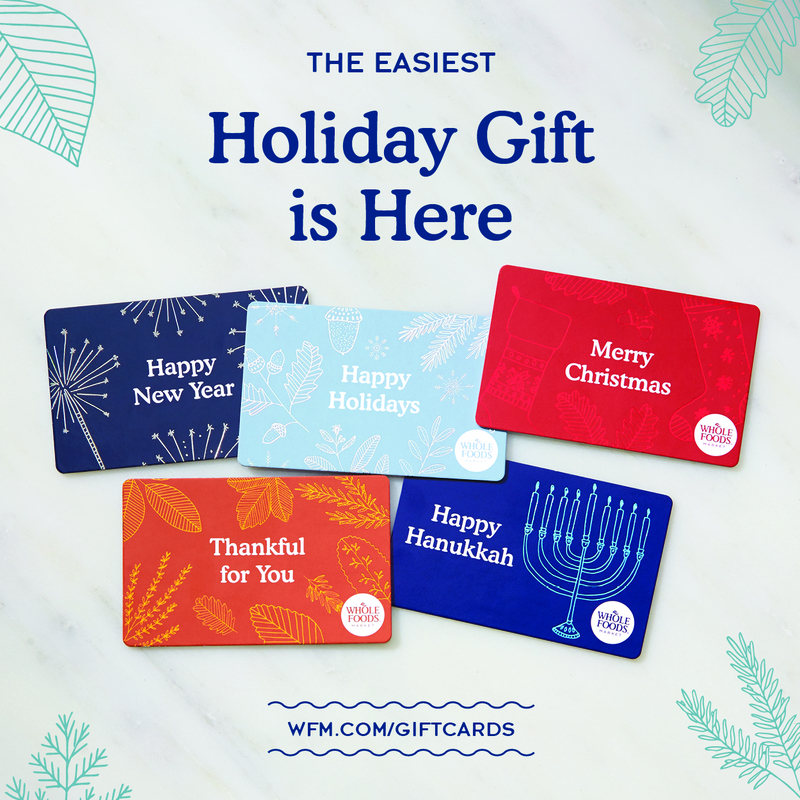 Nothing makes gift giving easier than Whole Foods Market Gift cards, not to mention using them to plan for your own holiday feast. Buy yours now for friends, family, co-workers, or the mail man, and enter to win a $100 Whole Foods Market gift card for yourself at our November 16th Facebook Party! Happy Holiday from the Healthy Family Expo team! Polar Express is a magical Christmas event for the whole family! Get your golden ticket and board an actual passenger train to the North Pole. Includes characters from the movie, your golden ticket stamped by the conductor, hot chocolate, cookies & Christmas carols! 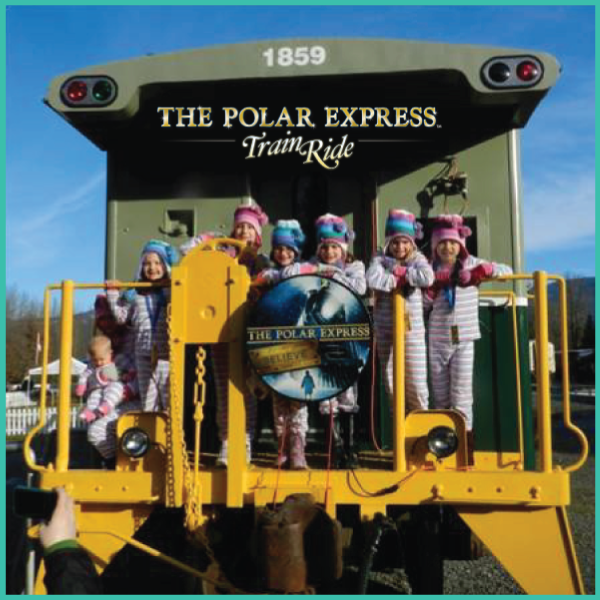 At the North Pole enjoy a mini-rail ride, craft stations, photos with Mr. & Mrs. Claus who will give you a silver bell, and a letter to Santa station (where Santa himself will write you back). Food and beverages are also available & families are encouraged to wear their pajamas! 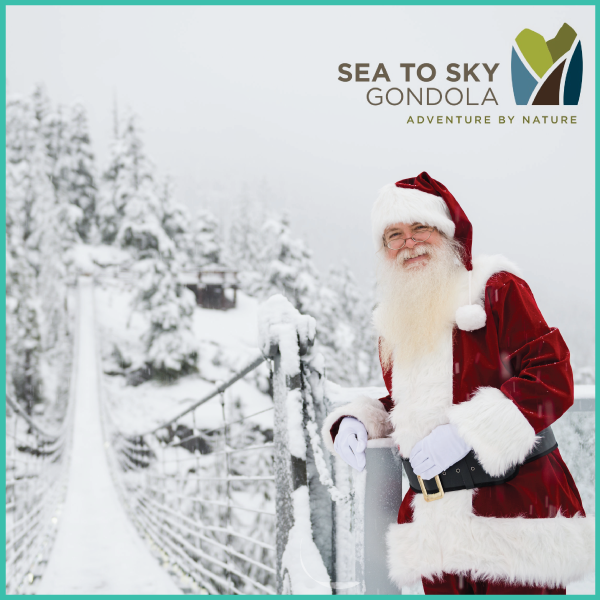 Discover winter’s most lovable side at the Sea to Sky Gondola this holiday season! Less than a 45-minute drive from downtown Vancouver, they have so much to offer in the way of holiday events & activities during the winter season that you’re guaranteed to find the perfect fit for your family. From fondue in the cozy Summit Lodge, to photos with Santa, to headlamp hikes along their snowy trails, there truly is a winter adventure for everyone at the Sea to Sky Gondola! Nothing brings out the holiday spirit like crisp snow & great food. Get out and enjoy both on snowshoes at Cypress Mountain! For families with kids aged 6+, try the Winter Wanderer Tour or the Hollyburn Meadows Tour. And adults looking for a longer tour should definitely try the Cheese & Chocolate Fondue Snowshoe Tour. Read about our team’s experience with a snowshoe fondue date night at Cypress Mountain last season. We had a blast and we’re excited to take our kids this season! Experience the magic of a white Christmas at Grouse Mountain’s Peak of Christmas. 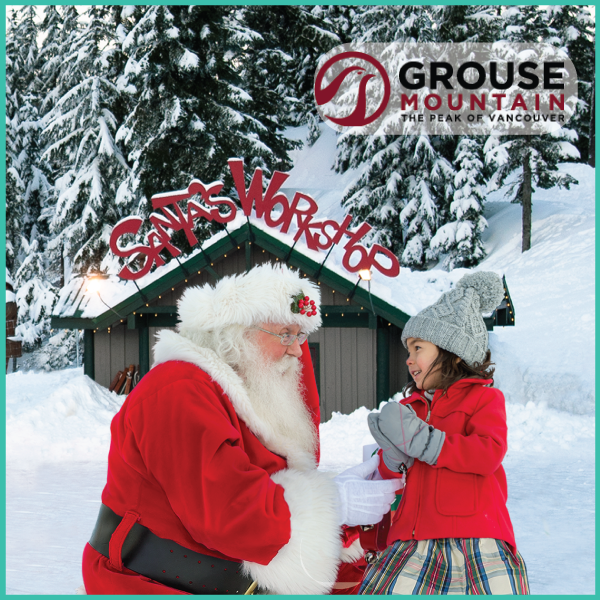 See how magical elves have transformed Grouse Mountain into Vancouver’s North Pole where you can have breakfast with Santa, visit him in his workshop, meet his real reindeer, vote for your favourite creation in the Gingerbread Village or take a spin on the mountaintop skating pond. Visiting the Peak of Christmas at Grouse Mountain is on our must-do list of family-friendly fun this holiday season. This Christmas, believe again! Hours: hours vary for different activities, see the website for times. Re-capture the feeling of wonder and excitement of the holiday season and be amazed by the hundreds of thousands of lights throughout the park. 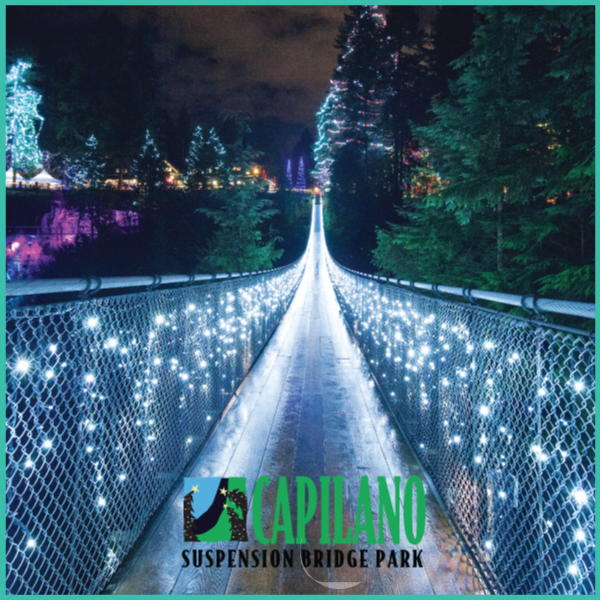 The suspension bridge, Treetops Adventure, Cliffwalk, rainforest and canyon are transformed into a world of festive lights & visual enchantment. Back by popular demand, go on a Snowy Owl Prowl, decorate gingerbread cookies (by donation) and enjoy sing-along carols with the holiday band. Two new children’s activities this year include decorating wooden ornaments & making your own holiday badge (by donation) in the Winter Craft Tent. 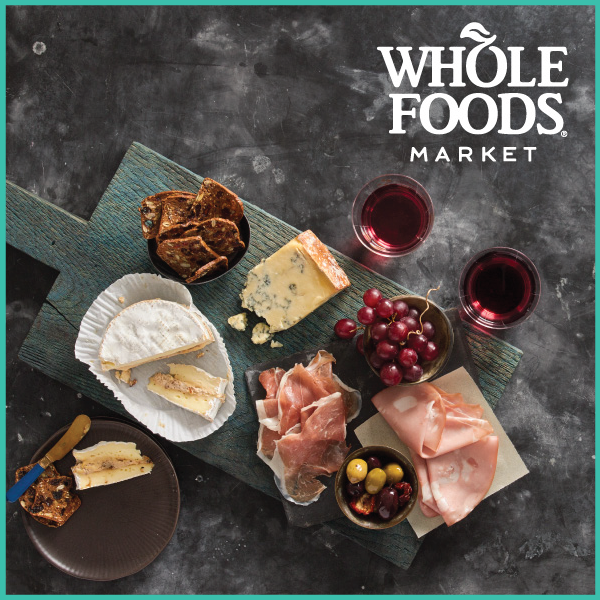 Join Whole Foods Market for a holiday tasting extravaganza! Sample party favourites and new flavours for holiday entertaining. This tasting event will give visitors an opportunity to try some of the finest artisanal and organic products and get a little holiday inspiration that’ll help make this holiday season the best one yet! These fantastic holiday tasting events are being held at all Whole Foods Market locations across the Lower Mainland, including Vancouver, West Vancouver and Burnaby. See you there! Festive Trolleys equipped with karaoke machines for your seasonal singing enjoyment will depart from Canada Place. 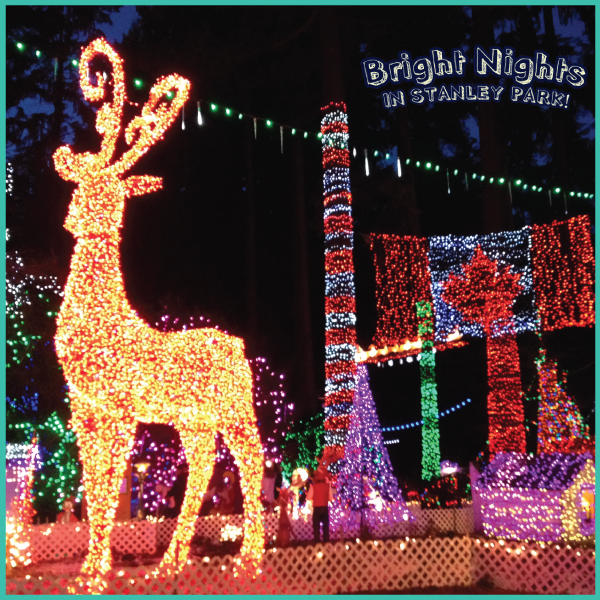 Guests will sing their way past the city lights of downtown before arriving at Bright Nights at Stanley Park. 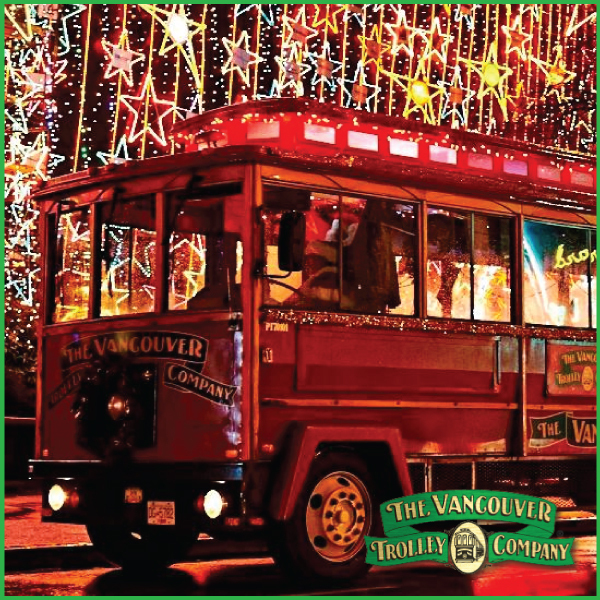 After time to walk through the light display (sorry no time for the Christmas Train), the tour will continue through local light displays on the way to VanDusen Botanical Garden’s Festival of Lights. A donation to the Burn Fund is included in each ticket. 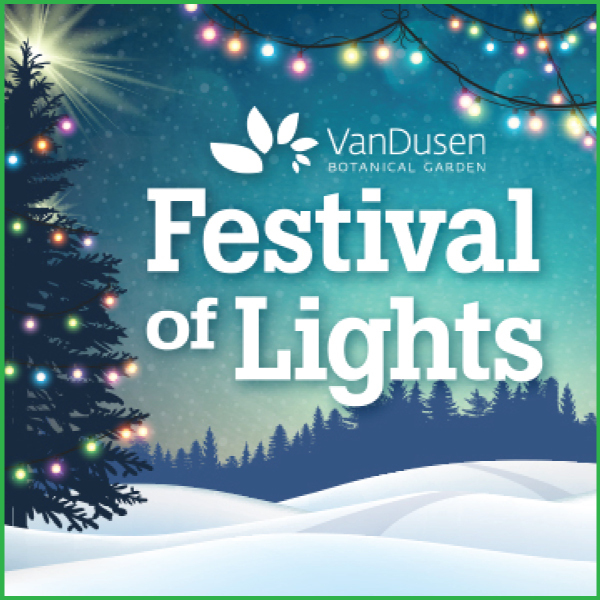 Experience VanDusen Festival of Lights, a magical winter wonderland with over one million lights decorating VanDusen Botanical Garden. Did you know they introduced a new carousel ride last year and all entry tickets include a free ride? Stroll with friends and family through interactive themed areas, enjoy the famous Dancing Lights show on Livingstone Lake, look for roving Scandinavian gnomes and reindeer in the garden, light a candle at the Make-A-Wish candle grotto, take a photo with Santa, and much more!